The Right Reverend Dean E. Wolfe, Bishop of the Episcopal Diocese of Kansas and Vice President of the House of Bishops of The Episcopal Church, was the preacher and presider at the Choral Eucharist for the Investiture of the Right Reverend Gladstone B. 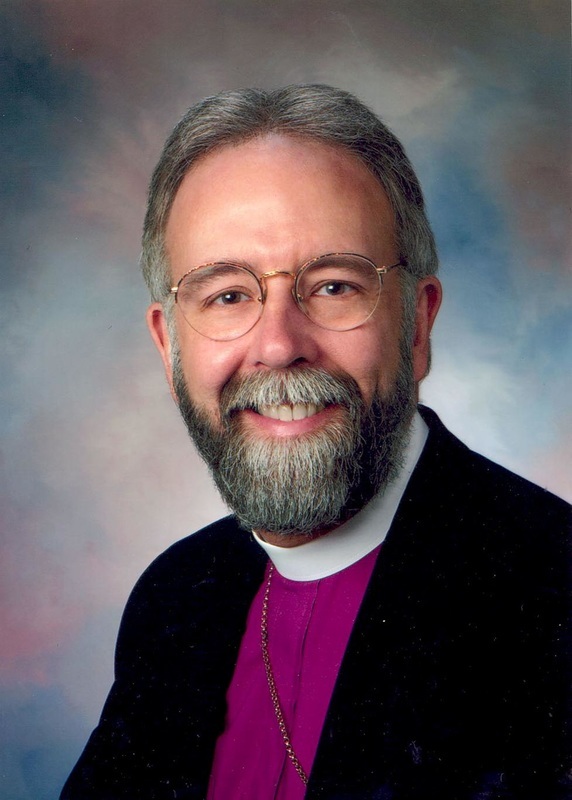 "Skip" Adams, III, as Provisional Bishop of The Episcopal Church in South Carolina. Read Bishop Wolfe's sermon here. The Right Reverend Gladstone B. “Skip” Adams III was elected by acclamation and invested as the Provisional Bishop for The Episcopal Church in South Carolina on Saturday, September 10. “We are going to continue to look out, and to look beyond, and to trust whatever that future holds, because we know that future is held by God,” Bishop Adams told Episcopalians from across eastern South Carolina who gathered at Grace Church Cathedral in Charleston. Bishop Adams is the successor to Bishop Charles G. vonRosenberg, who led the diocese for 3-1/2 years as Provisional Bishop, guiding it through a period of reorganization after a group of churches and individuals announced they were breaking away from the Church in 2012. Preaching and presiding at the service was the Right Reverend Dean E. Wolfe, Bishop of the Episcopal Diocese of Kansas. As Vice President of the House of Bishops, he led the investiture on behalf of Presiding Bishop Michael Curry. He also brought words of encouragement for the reorganized diocese, which now includes 31 congregations and some 7,000 members. “You know, you all are my heroes. You’re the people who get up early and stay up late to be The Episcopal Church in South Carolina,” Bishop Wolfe said in his sermon (text and video here). 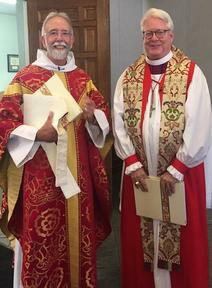 Later in the service, Bishop Adams was formally seated in the cathedral by Dean Michael Wright. He then offered a tribute to Bishop vonRosenberg and his wife Annie. “I am very clear that I could not be here celebrating with all of you without huge amounts of work being done… we wouldn’t be here without them,” Bishop Adams said. He also thanked the people of the diocese for the welcome that he and Bonnie have received. “There is nothing greater than experiencing the love of God through God’s people,” he said. Read about Bishop Adams here.